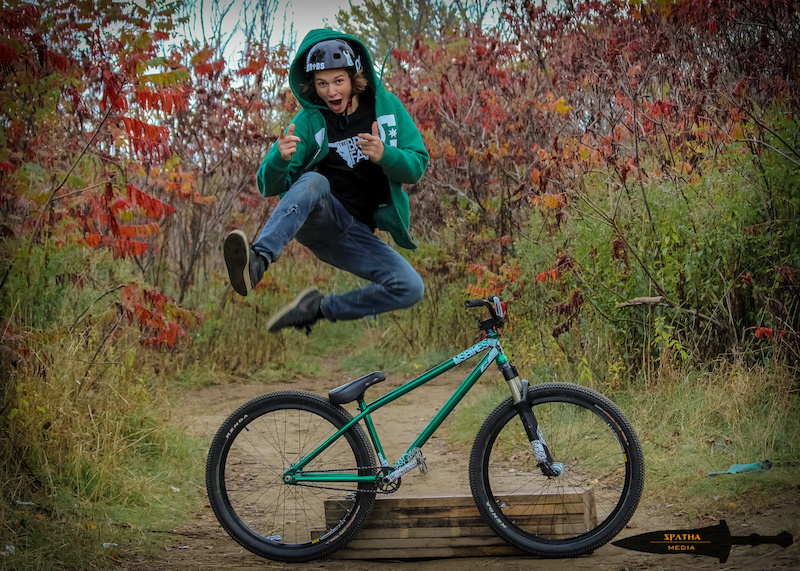 We are very stoked to welcome a fresh new rider in our team! Thoma always, always, always has a big fat smile on his face when he's on his bike! All that happiness is very contagious when you're around him and that's what we love at Lama, truly happy & stoked riders that share the love! He worked real hard on his welcome edit, jumping down roofs and trying super scary massive gaps! Shout out to his buddy Peter Kantel for editing the video! 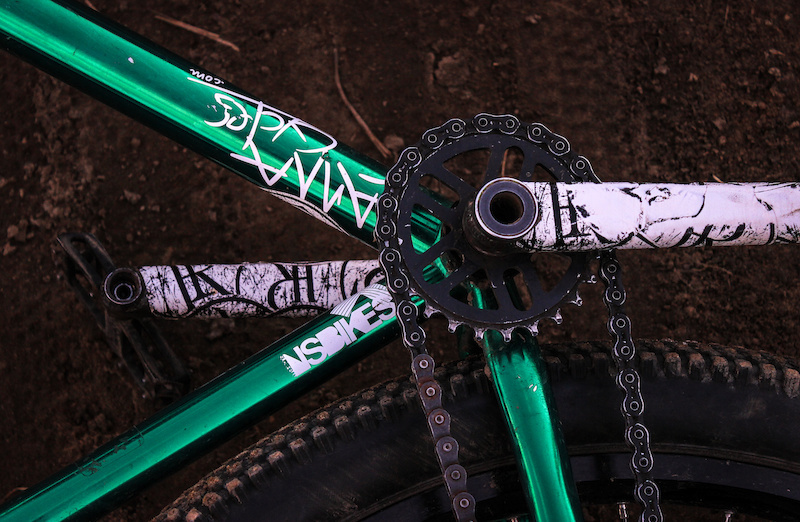 Scroll down to learn more about Thoma and peep his current bike setup! Years riding: 7 and counting! Pedals: No name hookup from a good friend! Brakes: Who needs those! They only slow you down anyways. The NS suburban is actually the first Ns frame I ever road, back in 2008! I have tried every steel frame from Ns since then. 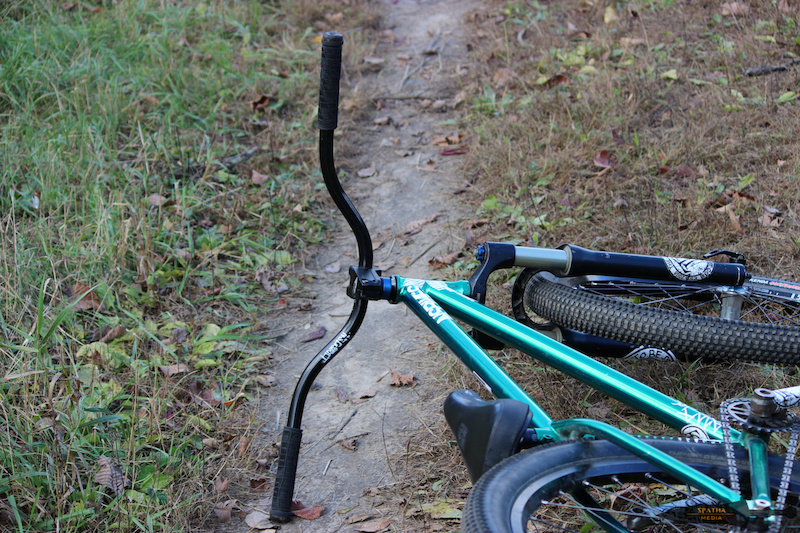 The Suburban dirt, which is the bike I currently ride, just really fits my riding style best, allowing me to ride anything from street to dirt with ease. Well it isn’t exactly new. I rode it all of last season and I love it! It is still holding up great so why replace it! I will in time, but I have several projects in mind that should come first, including building up an Ns Soda for slope style and an Ns Fuzz for downhill. To be honest, I don’t think I have ever weighed any of my bikes. I just decked out this year’s ride with a bunch of Ns bikes and Octane One parts from Lama Cycles and it came out to be a super light, dialed and flickable bike! How’s life outside of biking? Do you go to school? What kind of work do you do? If I’m not on my bike, I’m at school, at work or just straight up maintaining and building dirt jumps. I’m currently studying mechanical engineering at Dawson College (I would love to work in the bike industry latter on). During the summer, I work 60 hours a week for a landscaping company and if everything goes well I will also be teaching summer camps at at Epic Bike Park! Any trips you’re trying to make happen this summer? For sure! I’d love to make it out to Highland mountain because it’s basically bike heaven! You can ride dirt, slope and some DH laps in the same day! 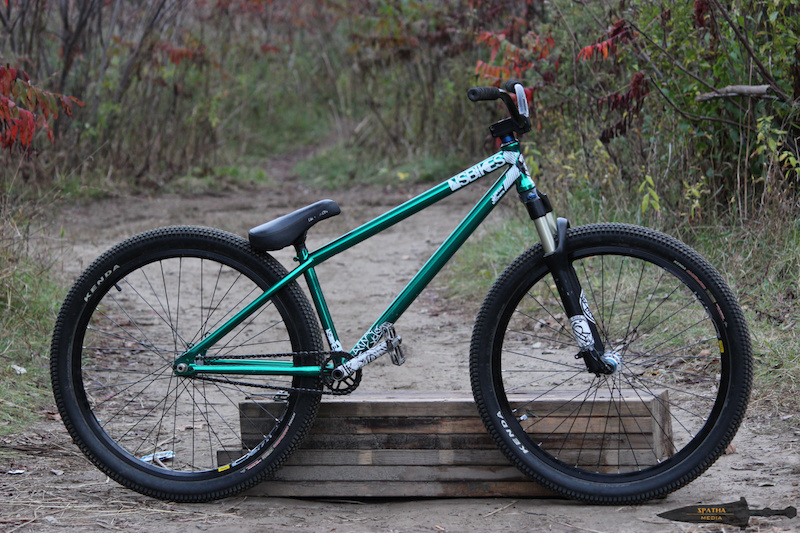 Next up, lama cycles team mate Cody Becker is going to make a trip over from BC to shred some Montreal street! So I’m definitely looking forwards to showing him the city. The annual Toronto trip is a must and I will for sure be going to The Brose farm once or twice to ride some sweet dirt jumps! Best way people can keep up with you? Hell yeah! I’d like to thank all my riding buddies for the good times, everyone who took the time to film me this past year and my parents just for still dealing with me and my constant bike talk. I can’t thank Stéphane Bélanger and all the guys from Lama Cycles enough for the support they have been giving me, as well as for simply keeping me on a solid bike! I am stoked to be a part of the team!